I’m looking forward to another exciting period working on exhibitions and broader community related projects. Moreover, I’m both happy and privileged to be working with some talented, dedicated and inspiring people. 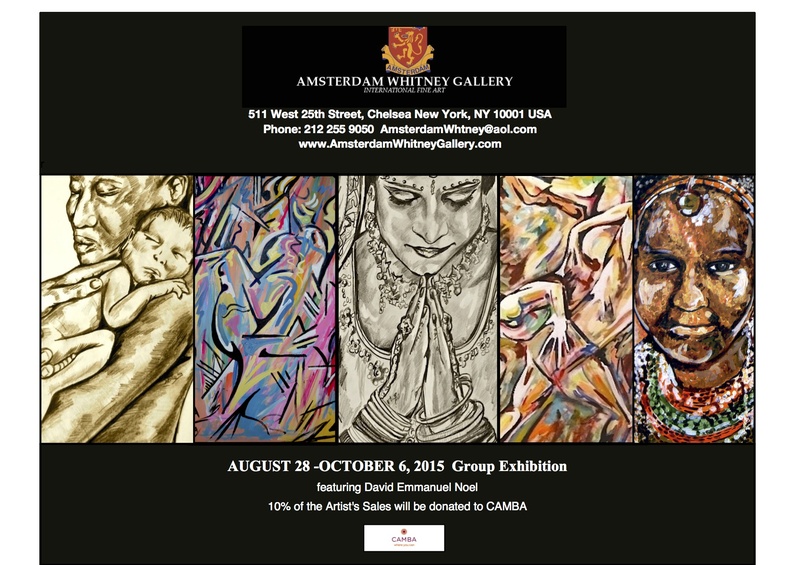 One of the things I’m looking forward to is another exhibition at the Amsterdam Whitney Gallery in Manhattan’s Chelsea district which is always buzzing with some truly amazing art exhibitions and talks. This year I will be donating 10% of any artwork sold to CAMBA, a non-profit agency that connects people with opportunities to enhance their quality of life. CAMBA offers more than 150 integrated services and programs in economic development, education and youth development, family support, health, housing and legal services. CAMBA Housing Ventures builds sustainable and affordable apartments for low-income New Yorkers. CAMBA serves more than 45,000 individuals and families, including 9,000 youth, each year. They help people with low incomes; those moving from welfare to work; people who are homeless, at risk of homelessness or transitioning out of homelessness; individuals living with or at risk of HIV/AIDS; immigrants and refugees; children and young adults; entrepreneurs and other groups working to become self-sufficient. The majority of CAMBA’s clients live, work and/or attend school in Brooklyn.